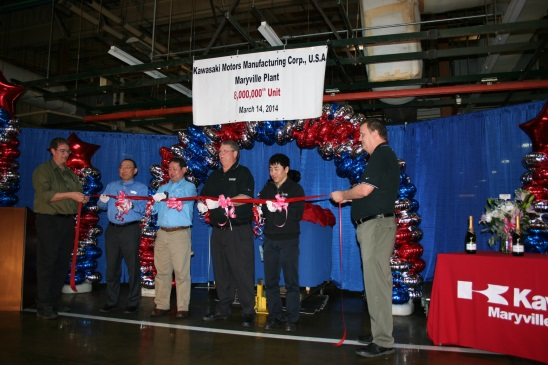 KMM Maryville has become the primary General Purpose Engine production facility for Kawasaki. 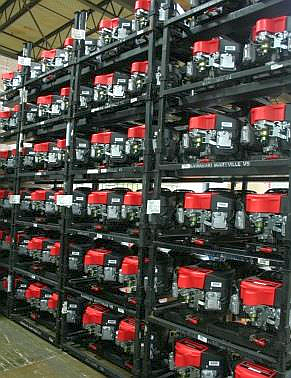 Our premium quality engines can be found in lawn and garden equipment produced by manufacturers across the industry. In the late 1980’s, continuing with the “build it where you sell it” idea, Kawasaki purchased a vacant building located in Maryville, Missouri. Counting on the strong Midwestern work ethic, Kawasaki quickly began production of an FC150V engine in 1989, used on walk-behind lawnmowers. This marked the beginning of Kawasaki’s imprint on the General Purpose Engines and the Lawn and Garden Industry. We now produce engines ranging from 13 horsepower to 37 horsepower. Our building and workforce has significantly grown as a result of our customer demands. 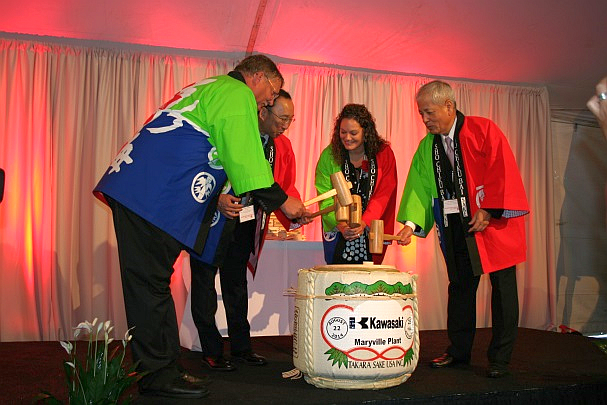 The Kawasaki, Maryville Plant is a culture comprised of diverse, dedicated and loyal employees. Our culture is defined by the people who work hard to make our product the best in the business. Teamwork is a term used to define who, what, when, where and how things get done. Our foundation remains solid by having the mindset of doing things right the first time, asking “why” five times and applying the basic principles of the Kawasaki Production System as well as Just-In-Time theories. Mixing the old proven ways with the new innovation available, provides us a unique platform to work upon. 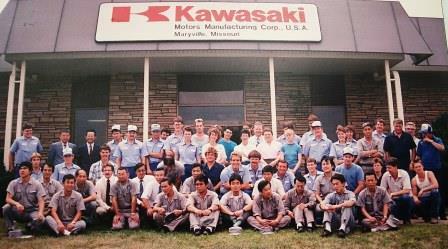 However, our employees are what make Kawasaki, Maryville Plant, successful. The “can do” attitude and the Midwest work ethic that our employees contribute each and every day allow us to accomplish our goals. It is our vision to become a worldwide leader in the manufacture of small industrial gasoline engines. Kawasaki’s mission is to provide our customers with premium quality products by continuously improving our product design and manufacturing processes to ensure reliability and power with built-in protection for our environment. The market share leader for commercial power products. A leader in the Northwest Missouri region as the employer of choice.